Just a few years before, at a product seminar held in front of Eriez Headquarters and industry guests, the world’s first Eddy Current Separator was demonstrated by Bill Benson who developed the unit alongside Eriez Research Engineer, Tom Falconer. 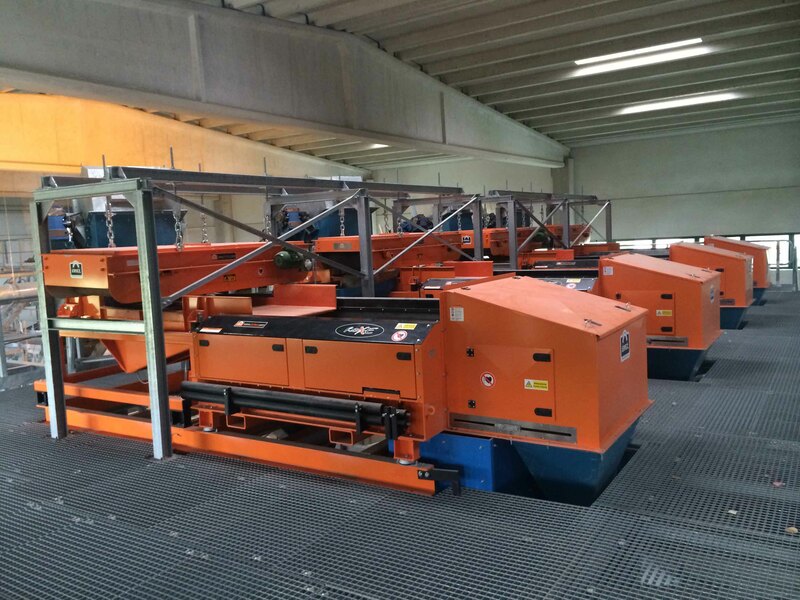 Today, thanks to the benefit of more powerful magnetic materials, Eriez’ Eddy Current Separators are successfully installed worldwide in the recycling industry. Eriez has over 25 years of experience in manufacturing Eddy Current Separators and the design has been refined through extensive research development and material testing. As a result, Eriez has developed a comprehensive line of non-ferrous metal separators in different configurations and size ranges to fulfil the diverse requirements of the industry. The very first developed were the HD and LC models, designed for the separation of aluminium cans and marked the beginning of the evolution of Eriez Eddy Current Separators. The following generations, the ST and LT units, saw a deeper field design of the LT model enabling increased performance when processing larger particle sizes +50mm whilst the ST model was designed for smaller non-ferrous metals and PET waste. Today, the RevX-E ST22 ECS unit offers unprecedented recovery of non-ferrous metals as small as 1-2mm and continues to be at the forefront of the industry. Due to the increasing sales of ECS units, a new extension to Eriez’ European manufacturing facility, was completed in autumn 2018. The investment of the new facility is set to increase the production capacity of Eddy Current Separator rotors by a third, per year. The launch of the brand new 326 square metre manufacturing facility has been documented in an exclusive video and can be viewed on YouTube at: https://www.youtube.com/watch?v=7OD71rtd63w]- please view at 720pHD.